Australia is a fascinating country, an enormous landmass separated from the rest of the world geographically and home to a mix of people from all over the world. It’s a land of extremes with an incredibly diverse landscape, from humid tropics to snowy alps to central deserts and much more. It has a culture that is all its own and a dazzling array of wildlife. Let’s check out some wonderfully weird facts about Australia that you might not have known. Did you know that Australia has more than 60 different wine regions across the country, each producing high-quality varieties of wine? Most wine regions are located in Victoria and New South Wales, but there are also many vineyards in Western Australia close to Perth. Take a winery tour so that you can stop at a number of vineyards and enjoy delicious tastings. When most people imagine Australia they think about sunny beaches, but you might be surprised to know that the Australian Alps in Victoria and New South Wales are a snowy skiing and snowboarding destination. The best time to visit is from June to September when the snowfall is at its peak. Two of the biggest resorts are Perisher and Thredbo and Blue Cow Mountain is also very popular – offering stunning views of the Alps. If you want to take a skiing and snowboarding holiday in Australia, make sure that you book in advance – as the popular resorts will get booked up very quickly. The largest war memorial in the world isn’t a marble statue or a plaque, it’s a scenic road that traverses along the rugged edge of Victoria’s coastline. It is dedicated as a memorial to those who died fighting and it was originally constructed as a way to connect the isolated communities that that are located along Victoria’s rugged coastline. Take a drive along this incredibly beautiful road to see the Twelve Apostles, the charming seaside towns of Port Fairy and the Split Point Lighthouse. Australia is filled with natural beauty and it is home to 19 World Heritage Sites. Three are under the cultural category and the rest are natural wonders. They include Tasmania, Uluru-Kata Tjuta National Park, the Great Barrier Reef, the Ningaloo Coast, Fossil Mammal Sites at Riversleigh and Naracoorte, Lord Howe Island Group and many more. Australia has an incredible diversity of animals, from kangaroos to tropical birds to marsupials. Amazingly, 80% of these animals cannot be seen anywhere else in the world – making Australia a fascinating and unique place for wildlife viewing. There are many ways to spot wildlife in Australia, including safari parks, zoos or hiring a guide to take you through the wilderness. The people of Perth love their coffee and if you are staying in this beautiful city you won’t have to look far to find your morning cup of Joe. Perth has more coffee shops and cafes per capita than any other city in the world. Treat yourself to a delicious cup to perk yourself up with energy for exploring all that Australia has to offer. When you meet an Australian there is a very good chance that they live close to the ocean, as the vast majority of the population make their homes on the shores of the country. There are the large coastal cities of Sydney, Melbourne and Perth as well as a multitude of smaller towns along the shoreline. Very few people live in the center of the country, as it is made up of mostly dry and arid deserts. 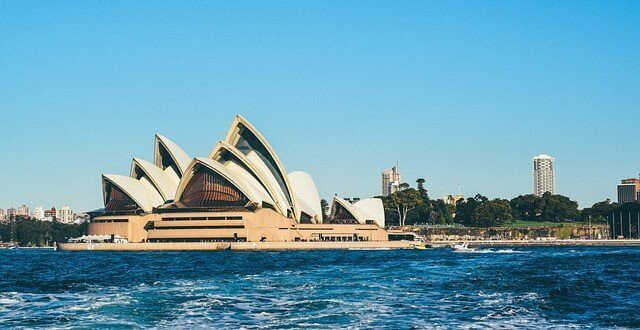 These are just a few of the fascinating facts that you might not know about the big and beautiful country of Australia. If you are considering emigrating to Australia, knowing as much as possible about the country before you move will be a great advantage. For more information about Australian visas and the New Zealand skilled visa, please feel free to contact us today. This article was published in Technology and tagged Australia.